Home > Nuachtlitir an Earraigh/Spring Newsletter 2018. Nuachtlitir an Earraigh/Spring Newsletter 2018. Tá an t-úllmhúcháin don 5ú Brat Glas don mBithéagsúlacht faoi lán tseoil. Tá na páistí gnóthach ag foghlaim faoin mbithéagsúlacht sna ranganna. Tá cúpla tionscnamh ar siúl againn, crainn dúchasacha a chur, éan-bhreathnú agus cothú na n-éan san áireamh. Chomh maith le sin tá gáirdín fiáin á phleanáil againn le chabhair tuismitheoirí sa scoil; Eileen agus Jimi Conroy. Ar ndóigh táimid ag leanúint leis an athchúrsáil agus ag déanamh múirín. Tá sé i gceist againn freisin cosc a chur ar na búidéil plaisteacha aon-úsáide sa scoil. Táimid ag obair leis an Choiste Scoil ag Spreagadh Slaínte ar seo. Molaimid go bpléifeá an Bhithéagsúlacht le do pháiste sa bhaile. Má tá eolas ag aon tuismitheoir maidir le feidhmiú an ‘Muc Mór’ don mhuirín bheimís buíoch as do chabhair. Is féidir dul i dteagmháil le Múinteoir Maria R ag reilly.maria@osrai.com. Ar deireadh, táimid ag súil le páirt a ghlacadh sa Pharáid ar Lá Fhéile Pádraig, mar lá gníomhach chun an brat a bhaint amach. Beidh PREABGHLANADH SRÁIDE ar siúl againn chun feasacht chomhshaoil a fheabhsú i measc an phobail. Tá fáilte roimh tuismitheoirí agus páistí na scoile a bheith linn ar an lá. Beidh lá athchúrsála éadaí againn an Chéadaoin seo, an 14 Feabhra sa scoil. Má tá aon éadaí nó bróga agat le hathchúrsáil sa bhaile an féidir málaí a fhágaint isteach sa scoil ón Luan an 12 ar aghaidh. Cuirfear an tairgead a bhailimid i dtreo feabhas a chur ar thimpeallacht na scoile, go háirithe i dtaobh feabhsúcháin a chabhróidh linn bithéagsúlacht a chur chun tosaigh. Preparations for our 5th Green Flag for Biodiversity are well under way. The children have been learning lots about biodiversity. We have many ongoing projects within our school including planting of native trees, our bird feeders and bird watch projects. We are also in the process of planning our wildflower garden with the help of parents; Eileen and Jimi Conroy. Of course we continue to recycle and compost as much as we can in school. We are also doing our bit to decrease the amount of hard plastic we use and are considering banning single-use plastic water bottles in our school. We are working with the Coiste Scoil ag Spreagadh Sláinte on this. We would encourage parents to discuss the importance of Biodiversity at home. Finally we are planning an action day in order to update our flag. Our Green School Committee are hoping to take part in the St. Patrick’s Day Parade this year. We will be doing some PREABGHLANADH SRÁIDE (two-minute street cleans!) during the parade to raise awareness in the community about litter and pollution. Parents and children in the school community are welcome to join us on the day. We will also be having a clothes recycling day this Wednesday the 14th February. If you have clothes or shoes to recycle at home, please bring them to the school from Monday to Wednesday. Any monies we raise will go towards environmental improvements in the school, particularly those which will improve the biodiversity of our grounds. Beidh ceolchoirm débhliantúil na scoile ar siúl in Amharclann an Watergate ar an 13 agus 14 Márta. Beidh gach rang ó Rang a hAon ar aghaidh ag glacadh páirt. Tá na ticédií ar díol anois ón Watergate nó ar-líne ar www.watergatetheatre.com Bíonn dhá oíche againn chun freastal ar gach éinne agus chun seans a thabhairt do bheirt tuismitheoir a bheith i láthair ar oícheanta difriúla. Beidh ar dhuine amháin a bheith ar fáil ar an dá oíche chun páistí a fhágaint agus a bhailiú ó chúl an árdaín ag na hamanta chuí. Our biennial school gala concert takes place in the Watergate Theatre on Tuesday and Wednesday the 13th and 14th March. Every child from first class to sixth will be taking part on both nights and tickets are now available from the theatre or can be purchased online at www.watergatetheatre.com . We organise the concert over two nights to cope with demand for tickets but also to ensure that each parent can attend on one of the nights. Children will have to be left to and collected from the backstage entrance at designated times each night and we will send you these details closer to the dates. Tá leath-lá againn ar an gCéadaoin seo mar go mbeidh an fhoireann ag déanamh tréanáil inseirbhíse ar na módhanna nua chosaint na bpáistí. Baileofar na páistí ag 12.00 meánlae le bhur dtoil. Due to staff training on the new child protection guidelines, children will finish school at 12 noon this Wednesday the 14th. Please ensure children are collected on time that day. Ar ábhar chosaint na bpáistí, cuirimid in iúil duit nach bhfuil fóin póca riamh ceadaithe ag páistí i dtimpeallacht na scoile nó ar aon imeacht scoile gan cead eisceachtúil. Má tá fáth práinneach go gcaithfidh páiste fón a bheith acu, caithfear nóta a chur go dtí an múinteoir ag míniú cén fáth agus caithfidh an fón a bheith tugtha don múinteoir múchtha ar maidin agus bailithe tráthnóna. Níl cead an fón a lasadh arís ar láithreán na scoile ar aon chúis. On the subject of child protection, we remind you very strongly that no child should ever have a phone in their possession during the school day or on any school activity without express permission from their teacher. If there is an urgent reason that your child needs to have a phone at any time a note MUST be sent to the class teacher explaining the reasons why, the phone must be handed to the class teacher, switched off, at the beginning of the school day and collected when leaving school. The phone must NEVER be used on the school grounds for any reason. We are hoping to have a full day of lessons for children, staff training and an evening information meeting for parents in the coming months specifically on this topic. We will also be reviewing our acceptable use policy and would welcome your opinions in this regard. Tá tionscnamh iontach rinnce chruthaitheach ar siúl ag Rang a 3 faoi láthair mar chuid den scéim ealaíontóir chónaithe ó Ionad Oideachais Chill Chainnigh. Tá Susie Lamb ag obair ar phíosa chur i láthair i mí Márta. Is Gaeilgeoir líofa í Susie agus tá áthas an domhain orainn í a bheith ag obair linn. We currently are delighted to be part of the Teacher Artist Partnership Programme with Kilkenny Education Centre. We have the services of Susie Lamb, a fluent Irish language speaker, who is working with Rang a 3 on a contemporary dance project which will result in a performance piece being ready in the coming weeks. This is a wonderful arts project for all of our children. Tá cór na scoile faoi lán tseoil faoi láthair agus iad ag réitiú do Peace Proms na hÉireann agus d’Fhéile Cheoil Chill Chainnigh. Tá na ticéidí do na Peace Proms a bheidh ar siúl in ionad Chnoc an Chillín ar an 4 Márta díolta amach le fada agus cuirimid in iúil duit go nglacaimid le haon ticéad atá le spáráil dúinn féin nó do scoileanna eile. Beidh an chór sinsir, an chór sóisearach agus cór R a 1 ag glacadh páirt, mar is ghnách, i bhFéile Cheoil Chill Chainnigh a bheidh ar siúl anseo sa scoil ar an Satharn an 10 Márta. Beidh grúpaí cheoil traid na scoile ag glacadh páirt chomh maith. Go n-eirí leo ar fad. The school choir is at full tilt at the moment preparing for two major occasions. We take part for the first time in the Peace Proms concert in Cillín Hill on Sunday 4th March. As parents are aware, this event is sold out and we remind you again that we would welcome any spare tickets which come available for our own parents or those in other schools. The senior school choir, along with our junior choir and a special Rang a hAon choir will also take part in the annual Kilkenny Music Festival competitions here in the school on Saturday the 10th March. Our school traditional music groups will also take part in competitions that week along with a number of individual entries in singing and musical instrument competitions. Best of luck to all in what will be an extremely busy month for our singers and musicians. Táimid thar a bheith buíoch don iarracht iontach atá déanta agaibh mar thuismitheoirí chun an bille do chostaisí scoile a íoc. Thugamar duais ag an Nollaig do chlann Emma Ní Lionáin Breathnach a bhfuair aisíoc ar an mbille scoile toisc go rabhadar mar cheann de na daoine a bhí an bille íoctha go hiomlán acu. Tabharfaimid duais amháin eile mar an gcéanna roimh laethanta saoire na Cásca do gach éinne go bhfuil íoctha go hiomlán acu. Once again we thank you for your efforts to pay your school expenses bill. We gave a prize to the family of Emma Ní Lionnáin Breathnach who paid their school bill in full of a full refund after a draw amongst all those eligible. We will have one more draw for all who have paid in full before the Easter break. Tá an chúrsa Oideachas Chaidirimh agus Col á mhúineadh i ngach rang an téarma seo. Tá roinnt athruithe déanta againn d’ár bpolasaí agus beidh an dréacht-pholasaí nua á sheoladh againn chugaibh laistigh de chúpla lá. Fáiltimid roimh aon smaointí atá agaibh ina leith agus iarraimid oraibh tacú le obair na scoile i slí dearfach ar an ábhar tábhachtach saoil seo. D’fhágamar slán le roinnt cairde na scoile le déanaí. Chailleamar Póilín Uí Lionnáin, iar-Mhúinteoir i bhfeighil Choláiste Pobail Osraí, iar-bhall d’ár mbord bainistíochta agus Mamó iontach Lucy agus Emma inár scoilne. Cailleadh Paddy O’ Brien, athair Múinteoir Deirdre Maria le cupla lá anuas. Tugaimid ár gcomhbhrón iomlán do Dheirde agus do chlann Uí Bhriain agus Breathnach ar fad. Cailleadh Bríd, deirfiúir do Múinteoir Iarla chomh maith agus deánaimid comhbhrón le chlann Uí Lionáird ar fad. We have said goodbye to a number of friends of our school recently. Just before Christmas we learned of the passing of Múinteoir Póilín Uí Lionnáin, past principal of Coláiste Pobail Osraí, a former member of our Board of Management and very proud grandmother of Lucy and Emma who are current pupils. Finally in recent days we learned of the sudden passing of Paddy O’ Brien, father of Múinteoir Deirdre Maria. We send our condolences to Deirdre all the O’ Brien and Walsh families. We also send our sympathies to Múinteoir Iarla and all the Ó Lionáird family on the sad passing of Iarla’s sister Bríd. Ar dheis Dé go raibh a chuid anamacha dhílse. 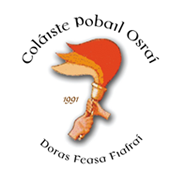 Seo iad na príomh-dátaí ó thaobh scoil-bhliain 2018-2019. These are the main dates we have decided on for the next school year. All the other breaks are as outlined in the standardised holidays for primary schools. Cuirimid i gcuimhne duit gur chóir do na páistí cloí le héide scoile iomlán seachas ar an lá nó dhó go mbíonn culaith reatha ceadaithe ag an múinteoir. Ba chóir an bríste ceart a bheith á chaitheamh le culaith reatha na scoile. NÍL Canterbury nó aon branda eile ceadaithe agus níl leggings ceadaithe do chailíní. Bíodh na cinn cearta O’ Neill’s nó ceann eile gan bhranda á chaitheamh le bhur dtoil. We remind you again that children from Rang a hAon upwards should be wearing full school uniforms every day except on the one or two days designated tracksuit days by the Múinteoir. Please ensure also that the correct tracksuit trousers are worn. Canterbury or other sports brands are NOT allowed. Please wear the normal O’ Neill’s or other non-branded black trousers which are similar. Leggings for girls are NOT permitted in any class. Seachtain na Gaeilge agus Ciorcail Chomhrá 7rl. Táimid ag druidim cóngarach do Sheachtain na Gaeilge 2018. Spreag do pháiste chun Gaeilge a labhairt ar scoil agus sa bhaile. B’fhéidir gur féidir dinnéar la Gaeilge a bheith againn uair sa tseachtain sa bhaile nó turas Ghaeilge sa charr ó am go chéile? Tá ciorcal nua chomhrá ag tosú san Home Rule Club gach oíche Luan agus tá fáilte roimh daoine fásta nua ann. Tá ceann ar siúl i leabharlann Loch Buí gach Céadaoin ag 11.00 ar maidin. As we approach Seachtain na Gaeilge 2018, please encourage your child to always speak Gaeilge at school and even to do so at home. Maybe we could have a weekly dinnéar le Gaeilge or an occasional trip as Gaeilge in the car? A new Irish language conversation group is starting in the Home Rule Club on Monday nights and the group which meets in Loughboy Library at 11.00 am each Wednesday morning is continuing. These are all for adults. Bain triail as-give it a try in this Bliain na Gaeilge 2018. Tá cófraí nua iontacha curtha isteach againn san dá rang a 5 agus 6 agus ceann ag barr an staighre. Beidh cófraí na dtrófaithe san bhforhalla go luath. Bhí áthas orainn gur Des Kearney, iar-tuismitheoir na scoile a bhfuair an chonradh agus sár-jab déanta. We are delighted to have wonderful new storage furniture on our Rang a 5 and 6 classrooms and we will soon be installing a new trophy display cabinet in the foyer. We were delighted that our neighbour and former parent Des Kearney secured the contract and has done a fantastic job. Cuirimid fáilte mhór roimh ár n-easpag nua, Diarmuid Ó Fearghaíl, a bheidh ag tosú linn go luath. Táimid ag súil go mór le bheith ag oibriú leis. Táimid buíoch chomh maith d’ár séiplíneach scoile agus sagart paróiste áitiúil, an tAth Roderick do shearmannas deas chéad aithrí an tseachtain seo chaite. Tá an-obair déanta ag Múinteoirí Máire Ruth agus Maria le Rang a Dó agus bhí na páistí go hiontach. Tá said ag súil go mór lena shearmannas chéad chomaoineach ar an Satharn an 28 Aibreán. We warmly welcome the appointment of our new Bishop Dermot O’ Farrell who will begin work in our diocese in the near future. We look forward to working with him. We are also very thankful to our school chaplain and local parish priest, Fr. Roderick Whearty, for a lovely first penance ceremony last week with his assistants from the Friary. The ceremony was almost entirely ‘as Gaeilge’ and our children are now looking forward to their first communion ceremony on April 28th. Once again, Múinteoirí Máire Ruth and Maria are doing wonderful work with Rang a Dó. Tá na dátaí agus an íocaíocht do na turasanna scoile Rang a 5 agus 6 go dtí an Ghaeltacht curtha ar an gcóras íocaíochta Aladdin anois. Beidh Rang a 5 ag dul go Muiríoch i nGaeltacht Chiarraí don gceithre lá idir 15 agus 18 Bealtaine agus beidh Rang a 6 ag caitheamh trí lá i nGaeltacht Rath Chairn, Co na Mí, idir an 2 agus 4 Bealtaine. Is féidir an méid iomlán nó gallaí a íoc. 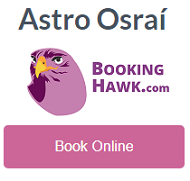 The dates and payment details for our Gaeltacht school tours for R a 5 and 6 have been added to our Aladdin payment system. Rang a 5 will spend four days in Muiríoch in the West Kerry Gaeltacht and R a 6 will again visit the Rath Chairn Gaeltacht in County Meath for three days. You can pay via the pay Now tab on our website and you can pay the full amount or in instalments as it suits. Information meetings for parents are taking place on March 20th at 7.00 pm in the school. Tá coiste nua Rith Beo againn i mbliana agus tá cinneadh tógtha acu go mbeidh an ócáid ar siúl arís ar Dhomhnach an 27ú Bealtaine. Tosaígí ag tréánáil! We have a new Rith Beo committee and they have confirmed that this year’s event will take place on Sunday the 27th. May 2018. Time to get the runners out and start training for our 5k and 10k races and walks! We hope the funds raised will be used to build a playground for the children of our school.